Recently we received a copy of an article printed in the South Australian newspaper, The Advertiser, about government departments wasting taxpayer’s money on fitting out their offices with indoor plants. As your President, I responded on behalf of IPA immediately sending a letter to the journalist who wrote the article. Click here to see the rebuttal letter. As you are fully aware it is not only Interior Plantscapers that are affected it also affects, the growers, soil suppliers, containers, fertiliser and pest control suppliers and so on. Unfortunately, Government purely looks at the bottom line and cost-cutting. As an association, we need to promote the fact that there is a cost saving. Those savings trickle down the supply chain. All those businesses that lose contracts eventually must layoff staff or in some cases close their businesses with the real possibility of eventually ending up on social security benefits. We know it is happening in South Australia, however, you can be sure it will continue to happen elsewhere. You may have experienced similar situations in your business. If you need help to tackle these problems, contact us and we will help to advise you of the best way forward. 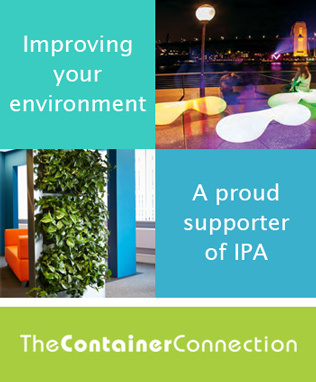 On another note, I have contacted other organisations that I feel would be an excellent strategic alliance for IPA. Looking at how we can ‘cross-pollinate’ to help promote plants and horticulture generally, as well as IPA these alliances can only be mutually beneficial for everyone. These organisations also have events this year that I feel would be of great interest to everybody. We want to make sure we’re sharing information that matters to you, so we’d love to hear your feedback. Tell us…we’re all ears!